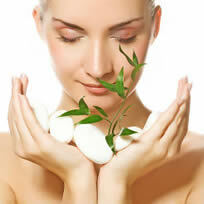 There is no absolute cure for acne because it is caused by numerous factors underneath and on the skin. Some treatments are more effective than others, however. Will Kate Somerville Total Vitamin Clear Skin Supplements product line be able to give you the multi-faceted acne treatment you need? Let’s find out. However, the best way to control acne is with an oral treatment that addresses acne from within your body to prevent breakouts before they even begin. Kate Somerville Total Vitamin Clear Skin Supplements are multi-nutrient AM/PM packets for daily skin maintenance and protection against acne. Each packet fortifies the skin with 52 cleansing and detoxing herbs, minerals, vitamins, and botanicals. 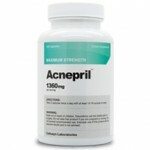 The formula works within your system to fight acne and prevent excess oil that causes acne. The Total Vitamin Clear Skin regimen is one packet of nutrients in the morning and one packet of nutrients at night.The AM/PM packets each have a specific formula however, the common ingredients include Zinc for the immune system, MSM for antimicrobial action, Bromelain as an anti-inflammatory, and Vitamin A for healthy-looking skin. The AM formula contains some ingredients that will boost your energy throughout the day. The PM formula helps you relax at night for additional benefits from these supplements.The only known side effect is temporary redness of the skin and flushing from the ingredient Niacin. 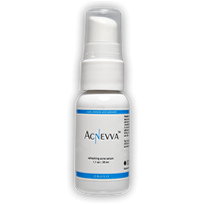 This easy and simple acne treatment and system lubricates and nourishes the skin in order to strengthen the skin. A box of Kate Somerville Total Vitamin Clear Skin Supplements is $85 for a month supply. Although this treatment may be effective, there are alternative oral treatments for acne available that will provide comparable results for half the price.